Publications – DELTA Revision GmbH – Numbers are our passion. 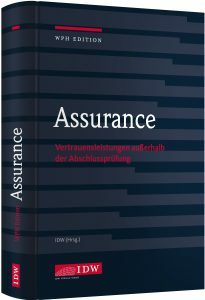 The recently published edition of “WPH Edition Assurance” contains chapter S “Compilation of Financial Statements” written by Klaus Bertram. Further information can be found on the website of IDW-Verlag. The dependence company report of the KGaA: Who really is dependent and who reports? Standardized evaluation of pension provisions in the areas of trade balance and tax balance sheet?